These comments will go directly to Flower Shop Network. This is NOT a method of direct communication with Every Blooming Thing for the purposes of ordering or rectifying problems. Called me when no one answered because they didn't want to leave the flowers outside in the cold. Promptly came back again with my bouquet. My wife absolutely loved her flowers! I will definitely use EVERY BLOOMING THING whenever I need flowers delivered to my wife. Thanks!!! Beautiful flowers, delivered on time. Thank you! Our friend called us to tell us how beautiful the flowers were that she received!! Thank you for helping make her Christmas in the hospital more special. Thank you Matthew for making my dinner party table beautiful!! I especially loved the foyer bouquet. As a first time customer I will definitely be back for thanksgiving!! Thank you so much Laura!! It was a pleasure meeting you and designing your pieces. thanks for giving us a chance and opportunity! Talk Soon! The flowers were very nice and everyone in my wife's office was impressed. The floral arrangement was sent to my cousin's funeral which I could not attend, but I was told that it was stunning, the most beautiful arrangement there. My cousin loved flowers, so I was very pleased to hear the comments. Im so happy to hear they were enjoyed ! thank you for the feed back we really appreciate hearing this, and strive to make every piece amazing for our customers ! have a great week! Another gorgeous arrangement from EBT! You guys are always so creative. BEautiful unusual flowers, nice vase, excellent presentation. A+! Wonderful shop! I am new to Akron area and so pleased to have come to know this place. Matthew has great energy about him! Very kind, personal nice young fellow putting his BEST self into a great shop! Matthew at EBT was the florist for our wedding Saturday and right from the beginning I was impressed with what he could do! I was not exactly sure what I wanted and he took what little I gave him and created the most beautiful combination of flowers that fit my taste and theme, and that was just our first meeting! That was nothing compared to the actual bouquets, arrangements, and centerpieces he put together for our special day. I was truly impressed and received so many compliments! Thank you, Matthew for making my wedding visions come true! The flowers were beautiful! I love your shop, too! So lucky to have this wonderful local business! EBT did the flowers for my wedding which were so beautiful! I also sent an arrangement to the judge that married us which was absolutely beautiful also! Beautiful flower arrangement. I was very happy. Support your local florists! Thank you so much for letting us know ! We love to hear when customers are satisfied and happy! Enjoy your week and we look forward to seeing you soon! A beautiful arrangement and quick service. I also received a phone call about having to substitute one flower that wasn't available. I think I liked the substitute even more! Excellent! And I was so glad to be able to use a local florist. Friendly, and diligent service. Had to come back twenty minutes later because I wasn’t home and they wouldn’t leave the bouquet so as to avoid it freezing in the cold, and they were very gracious to do so. Nice company and beautiful flowers. Excellent, very pleased!! I ordered late on a Friday, flowers were delivered Monday as planned!!! The arrangement was even prettier than pictured on the website. We received many compliments from visitors to our office who saw the flowers. Much nicer than previous orders from online sites, and it lasted longer too... about 9 - 10 days. I don't use any nationwide services for floral delivery any longer as I've had multiple disappointing experiences. When I wanted to deliver flowers to my friend in Akron, I yelped local florists and found Every Blooming Thing and placed an order via their website (so convenient!) and my friend received gorgeous flowers just a few hours later! Excellent service! Thank you! My sister said they were the most beautiful flowers she has ever received. Thank you!! Thanks for making a custom bouquet that fit my request! So happy we could do it for you! Have a good week! FABULOUS SERVICE! My daughter-in-law was thrilled with the color and quality of the arrangement. I was overjoyed with the service-personal phone call providing the status of delivery just doesn't happen anymore. I have 2 daughters-in-law in the Akron area. From now on I will only use your company. Thank you so much for the personal attention. Small order treated efficiently and delivered speedily. My very small order was treated with total efficiency and fast delivery. When I need to place a larger order with PlumbNation I will do so with confidence. Gorgeous full arrangement - better than expected! They really stand out from the rest! Thank you so much Cindy, we are so happy that the flowers made you happy! The flowers our daughter sent for my retirement were beautiful and still look great a week later. Enjoyed the flowers. We like to buy locally. thank you so very much! we appreciate your thoughtfulness supporting local businesses! The arragement was absolutely gorgeous! Received many compliments on its beauty from the recipients as well as from the group I ordered the arrangement on behalf of. Easy online ordering and received it right at expected time. Thank you so much! Definitely will order from you again! Have ordered flowers both online and called in, I believe "Matt" helped me when I called in. Both were very easy and the flowers are AWSOME! Have sent the to my wife on at least five occasions and they have always good great and have lasted a long time. Thank You!! Thank you for going above and beyond with my order! I am always excited when I get a delivery from your shop. As always the arrangement I received was gorgeous and lasted a very long time. The one comment that I have is that arrangement included what I assume a small decorative cabbage plant. After about the 4th or 5th day I smelled a rather unpleasant odor that I could not seem to locate. Finally, it was determined that it was that plant. It was a beautiful plant but I wouldn't want it in an arrangement again unless it came with some information about how long they would last. Most of the other flowers are still going strong! Thank you Mary! It sounds like the arrangement had a stem of decorative kale, which is in the cabbage family and as it decomposes, it will be odoriferous. We will definitely take your suggestion on the note about kale! THANK YOU! The bouquet of roses I sent my girlfriend (who is a middle school teacher) for Valentine's Day made her the envy of the entire school! Thank you for creating the beautiful arrangement for my brothers funeral. It was elegant and contained every special detail that I requested. Thank you Kelley and EBT. Beautiful, fresh arrangement sent to my job! You are most welcome! We are happy that we were able to run the delivery to her new workplace, even though out of our normal delivery area. Thank you! The flowers were absolutely beautiful and arranged as shown on the website. As always, it was easy peasy! I love the way you say what price the item is shown at, so I always know what I am getting! My favorite Akron florist. gorgeous. Loved it. So many positive comments from coworkers! Beautiful arrangement. Still doing well and smelling amazing. Friendly delivery woman as well. Beautiful! What a great surprise! Thanks for the special details. Thank you so much! We are so happy you loved your arrangement. Scott did my wedding bouquets and they were perfect! The wedding was very small and with only a phone consultation he got it just right. Colors were beautiful, they smelled delightful and received many compliments. All this for a VERY reasonable price. Thank you, Scott and staff. I am sorry to hear about your dissatisfaction. Being that it was over 2 weeks ago, we cannot guarantee how it was cared for while the recipient was in the hospital. Our dish gardens go out very fresh, as we purchase them every week from our greenhouse. The dish-garden that went out was definitely up to the $45. value. My driver delivered directly to the room and remembers the recipient being very happy with it. Delivery was on time, but I was very disappointed in the arrangement. Your website pictured a bouquet of all purple irises. The arrangement that arrived contained several nice irises with mostly filler plants, some of which were wilted at the tips. The arrangement that was delivered was not even close in quality to what is pictured on your web site. Ultimately very overpriced. Again, I apologize but your son requested a Monday delivery for whatever reason. We did as the customer requested. Always have been a fan and supporter of our local florist Every Blooming Thing. This is the first time I've used their online service. Not to disappoint... easy and I took my time picking out my arrangement. 6 days later, still getting a shout out from the recipient! Shout out to Scott. My nephew loved the flowers. His wife said she would be using EBT in the future. I live in Tucson, AZ. However, I have relatives in Ohio. This is my second time ordering from you. The first was for my 101 year old aunt's funeral about one year ago. Yesterday I received a flower arrangement for my birthday. It was absolutely the most gorgeous arrangement I have ever received. Thank you for the beautiful job you did. Rob loved the arrangement and Fall is his favorite season so it was a big win. I should have specified to deliver to back door but he did find it as soon as he got home. Thanks for brightening the day. He and I were both thrilled with the arrangement. Our customer whom we sent this arrangement to was so happy and thought it was the most beautiful arrangement she has seen in a very long time. After two weeks of having the arrangement, she said that it still looks as though they have just arrived. Thank you so very much! We appreciate your kind words and business! They did a great job putting an arrangement together for one of our sons friends who is away at college in akron, I gave them an idea of what I wanted and they did a great job. They were beautiful. Thank you !! Flowers arrived on time, and were absolutely beautiful. Nicer than the picture. I ordered the wreath that was on the website - which had lots of bright greenery. I asked for the delivered wreath to be as similar to that as possible. The wreath delivery went well - it was for a memorial service. The wreath was pretty - but it was all in pastels - not at all like the wreath pictured. When orders are placed same day, we can only fill to the best of our ability. The wreath included sunflowers, iris and blue hydrangea which were the main flowers pictured. We are glad we had it delivered in time and can promise you it was received very positively at the school at time of delivery. Thank you. Mary was very happy with the ivy plant and I apprreciated how easy Every Blooming Thing made the transaction including calling me to verify that the plant was delivered. As always, prompt and efficient service! The arrangement I ordered was perfect. Excellent service and communication. The person I sent my flowers wasn't at home so they even changed the address last minute and got the flowers delivered the same day. Kudos and thanks! Thank you for doing such a wonderful job on my daughters wedding . The flowers and arrangements were marvelous ! Always impressed with your work! Excellent experience with both website and person who handled follow-up inquiries at the store. Very attractive arrangement, in the opinion of the buyer and the recipient. The flowers must have been spectacular as the recipient said it was the most beautiful bouquet she had ever received. Sent get well flowers today. Selected my flowers online at 9 AM and the flowers were delivered at 2PM! Great time and the report is that they were as advertised. Thank you. I have consistently received many beautiful and unique flower arrangements from Every Blooming Thing Flower Shop in Akron. I am ordering again! I have dealt with Scott @Every Blooming Thing for several years now. He is a quality person running a quality business. I would not go anywhere else. Very pleased with the service we received! My fiance loved the seasonal flower arrangement and we can't wait for our wedding in April and set the flowers! I called Every Blooming Thing on a day that I thought they were closed, but Scott answered and was happy to talk to me. Not only did he assist me with a funeral arrangement for the next day, but he made sure that I knew all of the options and then sent me a picture of the beautiful arrangement. All of this for someone who is not even local to his shop. Wonderful. I would recommend this florist to anyone. I went with Every Blooming Thing for my wedding flowers based off solid recommendations from friends. Scott did a fantastic job working with me to create the image in my head, but was also up front about budget the entire time. I wanted a wildflower look but did not have many specifics down, but Scott patiently sat with me, my fiance, and even my roomate to come up with the perfect wedding flowers. I could not be more pleased with the result. They were beautiful. Easiest vendor we worked with by far! You won't regret going with him. I had procrastinated in placing my order for adminstrative professionals day. Placed my order at 7:00 am using Every Blooming Thing's website and the gorgeous arrangement arrived just after noon on the same day! Thank you for always coming through when I need you! Flowers are going strong after 12 days. Wonderful arrangement & brilliant value for money. This is where I'll be buying flowers for my wife from here on out. Great customer service too! Thank you…again! The Thanksgiving flower arrangement I ordered for my mom was beautiful. She couldn’t stop talking about it. It was the perfect addition to a wonderful family event. I’m now looking forward to ordering Christmas flowers! OMG, I wish I could send you a picture of the beautiful arrangement that was made and sent to my sister in the hospital!! Absolutely beautiful in every way and was delivered promptly to her room!! I would higly recommend you to everyone!! 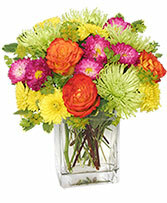 Flowers are of exceptional quality including a long presentation life, vibrant colors, and meticulously arranged. The only complaint I have is that the flowers last too long. I sometimes have to go 3-4 weeks before I can surprise my wife with another arrangement. Thank you for prompt service and delivery on time. The arrangement was beautiful and looked good for almost a week. Ordering was very easy and delivery was prompt. Thanks for helping make a regular day, something special! Excellent service ! Both times I have purchased a peace Lilly for very dear friends who lost a parent and both were blessed by how beautiful they were !!! Thank you for your care!! The flowers were beautiful. I have received many over the years from my daughter and husband and each time it has been different and beautiful. Thank you. The receipients raved over how nice the arrangement was! Thank you! I recently received an amazing floral arrangement and received many compliments on the design. It has lasted (2)weeks and is simply beautiful. I highly recommend Every Blooming Thing for their creativity and quality. LOVE the web service. Did not have to wait for you to open. Heard from the recipient that the flowers were fabulous. GREAT SERVICE. Thank you. The Christmas table arrangement was beautiful, my Mom loved it. This is the 2nd time I've ordered from you & it won't be the last. My Dad even asked where you were located so he can use you too in the future :) Thanks for the nice job! The flowers were beautiful and several people asked where they came from. Thanks again. I really like what you’re providing here. Keep working that way. Take care! Hi! Many thanks for your site! Actually I have never read anything that interesting. 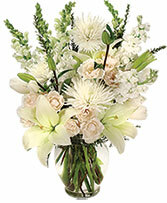 I was very happy with the arrangement,it was beautiful and you did not skimp on the flowers. The only thing I would have changed was the vase. It was not square like the photo. I won't hesitate to use you again! My Mom said the arrangement was beautiful! Would have liked the arrangement delivered earlier in the day and with the ordered balloon (which was not seen on the website order) However, they were very professional and fixed the problem immediately and were out the next day with 2 balloons. Thank you for making my Mom's day special, I will order again because of your excellent customer service! The flowers were beautiful and lasted a long time. Thanks! The delivery was SUPER fast. But for the cost I didn't feel like I got a 62.00 arrangement. I went back and looked at the breakdown. The flowers were 40.00-45.00 the rest was crazy costs. I will not order online again which is too bad I love the flowers you deliver to JWT Action. Thanks for the pretty purple vase it was lovely. I like that if there is a variance to my choice, I get a communique asking for my input. Thus far, I've had positive feedback from the people I've sent arrangements to. I am still enjoying the beautiful arrangement my son gave me for Mother's Day! The lilies continue to bloom and the fragrance is still lovely! I am definitely going to shop at Every Blooming Thing in the future! The flowers were beautiful as always...the only place I ever go for flowers.. I was so happy with the product I got for the money I spent. Timing and delivery was perfect. Overall, I had an excellent experience and will definitely use EBT for my next flower delivery! Very nice arrangement and delivered just in time. My friend passed away the next day after receiving it. Thank you. Your bouquet was stunning and everyone in my office is jealous! In addition, one co-worker who is getting married said she wanted your contact info so she could speak to you about doing the flowers for her wedding! Keep up the good work! Thank you! I received an amazing flower arrangement from EVERY BLOOMING THING at an event that I was hosting. It was absolutely gorgeous AND lasted a long time. I couldn't believe the beauty of the flowers after time had passed. Thank you for your wonderful work! It was very easy and convenient and the order was processed and delivered in a very timely fashion.. I really appreciated it. I was married on October first, and literally waiting until the month before my wedding to order flowers. I walked into Every Blooming Thing after visitng other stores and Scott's kindness and patience sold me immediately. I have some very special requests that he was totally cool with. I wanted vintage hankerchiefs incorporated in my bouquests as well as vintage fabrics. I wanted retro modern look that other florists were not capturing. Scott spent a great deal of time with me every time I stopped in unannounced. When the wedding day came, the flowers arrived and I was blown away. I had asked for long stem roses for 6 of my closest friends. He decided that 2 roses would look better and added additionaly foliage at no charge. Not to mention, each bouguet was wrapped in the vintage fabric. He made corsages for my sisters and beautiful arrangement for the Mothers. People complemented the originality of my bouquet. I love that Scott captured my vision and I would recommened him to anyone that wants exceptional service, beautiful flowers and an affordable price. Thank you!! Everything was delivered the same day, then I say that the service was exceptional! Thanks! I live 2000 miles away from Every Blooming Thing and had my wedding in Ohio in order for my elderly parents to be part of my big day, they couldn't come to Montana for the cerremony so I toook it to them. Scott was great and took care of every blooming thing!!! The flowers for my wedding were perfect, exactly what I had in mind. I highly recommend Sott and Every Blooming Thing for your wedding!!! I live out of state and always appreciate the convenience of online ordering and the care that you take in preparing and delivering flowers to my parents who live in Akron. Scenario was: Forgot to order the prom corsage and remembered very late the night before. Made the desperate call to Every Blooming Thing... Kevin calmly assured me not too worry and even gave options on time to pick up, styles, flowers etc. When I picked up the corsage it was BEAUTIFUL- not just last minute beautiful but "planned for weeks down to the last detail" beautiful. My son even received compliments from other girls on his date's corsage. I have ordered from other local florists who have chastised me for ordering the week of an event. Every Blooming Thing welcomed my business and went way beyond my expectations. They have earned my and my family's business forever. This is the fifth day and the flowers are still just beautiful. Very nice, colorful arrangement. My flowers are always absolutely spectacular. Every arrangement has been extraordinary. Best floral shop in Akron. Truly an exquisite shopping experience. Friendly. Flower Shop Network had a chance to interview Scott Sella of Every Blooming Thing in Akron OH. We asked Scott a few questions to see what makes him tick and why he feels the floral industry is a fun and exciting profession. FSN: How long have you been a florist? FSN: When did open your flower shop in Akron? Florist: I purchased Every Blooming Thing, a shop that is just 2 blocks from my home, after working for a large family owned shop for 10+ years, with a 30 minute commute. Two years before purchasing the shop, I became the designer at Every Blooming Thing and swore I would walk to work every day â€” I did that once! FSN: What are your floral specialties? Florist: I would say my "specialties" are custom jobs that let me get to know more about a person. I love to create pieces that have meaning. Funeral pieces that truly represent the deceased with one of their favorite items, as opposed to a large set piece in a shape. My grandfather's trumpet sat next to him with a small floral piece attached, my grandmother held an old family cooking spoon that once was her mothers, among a hand tied bouquet. FSN: What is your favorite flower? Florist: Orchids of any form are a favorite of mine. A more common flower I love is irises, especially the dark purple iris. I think it is the deep and unique colors that attract me, along with their beautiful shapes. FSN: What is your favorite wedding bouquet? Florist: I love any wedding bouquet that mixes rich colors and textures. Also, I love mixing exotics in with more traditional garden flowers. I love that brides have gone away from carrying all white â€” a pop of color can't be a bad thing! FSN: What would you say are the top flower trends in Akron OH? Florist: The trend that seems to be hanging on is simplicity. Smaller arrangements that contain unique flower mixes, or beautiful, monochromatic arrangements in simple, small cubes or cylinders. Even simple garden mixes that look natural and unarranged. FSN: How have you used the Ohio state flower in your designs? 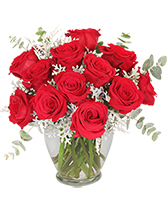 Florist: "The scarlet carnation" is a flower I have definitely used. Many people still have the idea that carnations are BAD-- but I have always said it's the way you use them that matters. A vase of tightly arranged scarlet red carnations can make beautiful texture with their scalloped edge. 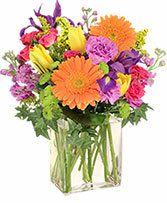 Orange, or some of the newer colors, placed deep in a vase with tulips and irises popping out makes a great spring arrangement, and of course are long-lasting. But even as the state flower, I still listen when a customer says "NO CARNATIONS"! FSN: What has been the best part of being a florist in Ohio? Florist: One of the best parts of being a florist in my area is the number of wholesalers and the availability of daily ordering. I can get ahold of a wholesaler or a sales truck that is in my area almost any time of the work day. Each carries a slightly different mix of stock, so that last-minute order (that wants exactly what I don't have) can still be filled as similar as possible. FSN: Do you have a floral design philosophy? Florist: I find that my degree in Graphic Design/Fine Art has a great influence on my work, when a customer allows me to "be creative." In those cases, color, texture and current design all influence my work. However, some people aren't looking for creative, they are looking for large or traditional, and in that way, it's the customers preferences that influence my design. When I don't particularly like a design I do, or a "picture in the book" that a customer selects, I always think... "It's not going to me, so I don't need to like it completely." FSN: What style do you specialize in -- modern, traditional, romantic, etc.? Florist: I would have to say my preference is toward traditional/romantic with a modern twist. Again, a mix of traditional flowers with a pop of contemporary. FSN: What makes your arrangements better or different from anybody else's? Florist: I am often told that my arrangements are very long-lasting. I think that is due to the fact that when I am able, I always think about what is going to die first and when it does, will there be a hole in the arrangement? Also, some of the longer-lasting flowers are usually the more traditional flowers florists use. That is another reason I am not afraid to mix traditional flowers in unique ways. FSN: Do you remember the first time you received flowers? Tell us about it. Florist: I would have to say the first time I remember receiving flowers was when I moved from New Jersey to Akron. My partner sent me flowers from Every Blooming Thing, the neighborhood florist, on the first morning of my arrival. They came in a nice keepsake vase that now sits behind my desk in the shop. Who knew that in about 12 years, I would own that flower shop!? FSN: How did you get started in the floral business? FSN: Favorite arrangements or other designs you've done? Florist: I would have to say the most fun I have had designing was when I did my own flowers for my commitment ceremony. When planning, my partner said "Who is going to do the flowers? It isn't going to be you." The more he thought about it, the more he knew I would never let anyone else do it. I enjoyed it so much because I was able to pick exactly what I wanted and be completely creative. It was in October, yet we had a gorgeous weekend and I spend 2 days working in my driveway, being totally free to create whatever I wanted with ALL the flowers I bought. Isn't that exactly what we dream of as florists... that customer who says "Do whatever you would want to have!"